There are 9 reviews of Cuirelle. Soft. Gentle, overall. Reminds me of Ostara after some time. It starts out with a blast, of course. Spicy, oriental vibe at first. Has a great cinnamon note, which is usually hard for me to smell. The beeswax is creamy. Incense is not loud or bothersome. I consider Cuirelle more feminine than masculine. It has a wave of something like leather at times. Far away smoked cedar, too. I could wear this one at any time of the year. A creamy fruity-vanillin floral accord on a fake "suede" base given by the blend of patchouli with incense. Overal gentle and slightly milky at first, then powdery, somehow close to Cuir Cordoba by Keiko Mecheri. I like the concept of reconstructing a suede-like feel using no leather, the fragrance itself is pleasant and delicate, sweet and bright. A bit close to skin, but soothing, nice and interesting. Slightly metallic drydown (an unpleasant, cheap signature note I detected in at least other 3 scents made by him). Wow this is a good leather fragrance. I like the cooling effect of vetiver that happens at the base of this scent. The natural leather is formed by Somali Incense which is warm but deep and it is made leather by the hardness of patchouli in the base. The vetiver adds a cold aspect to the leather that is similar in effect to Bond 9 Harrod's Oud. I always like the idea of leather in a fragrance but usually end up not enjoying the wearing experience. But Cuirelle actually has me convinced I should get a bottle of this. It smells to me like a well used leather, possibly saddle leather. The beeswax extract gives the base kind of a salty musk stink that adds experience from the living world to the fragrance. Other similar leather scents? Well, it is a little like Charles Street, but is better to my nose. A fine leather fragrance and one of my favorites from Ramon Monegal. The creamy suede opening reminds me of Lutens' Daim Blond but here it is not as sweet, or cloying especially with the transitioning incense and cinnamon notes keeping things on the drier, lightly spiced side. Much in the same vein as the aforementioned Lutens and 2012's Bottega Veneta, Monegal has taken up the gauntlet with this well-executed and rather sophisticated take on what I call the 'perfumed glove' sub-genre. I just wish there is a little more distinction and gauntlet-throwing originality given the line's heftier price tags. On my skin this is clearly a leather fragrance, a very nice and rich leather fragrance that is overall on the lighter and brighter side and represents a modern approach to old theme. There is a mildly spicy added impression, a touch of cinnamon sweetness in the background and a good longevity of about three hours. There are no member images of Cuirelle yet. Why not be the first? 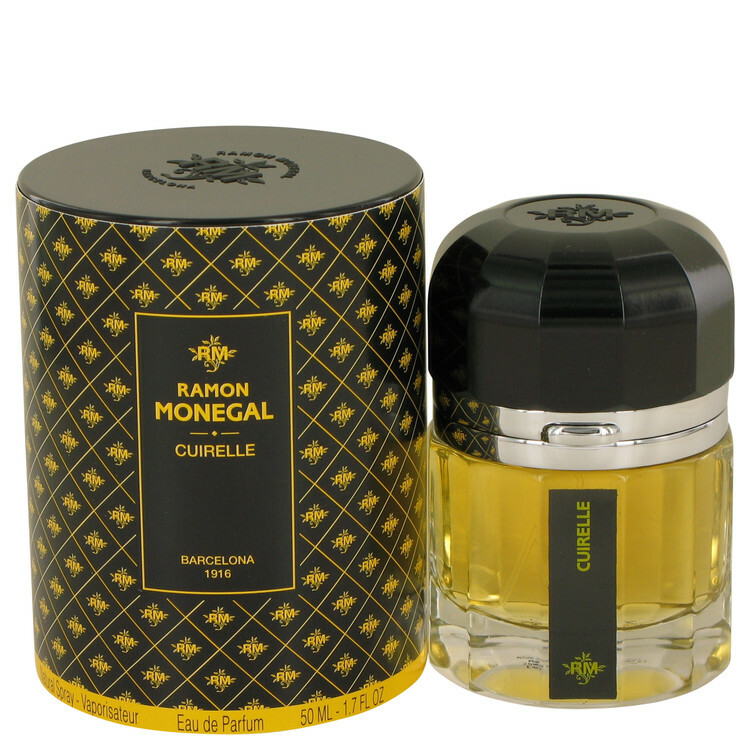 Cuirelle by Ramon Monegal...Any of you try this?